Cost: Private lessons start at $33 per lesson, or $594 per semester (30-minutes weekly); performing ensemble group classes start at $216 per semester, $45 annual family registration, and financial aid is available. 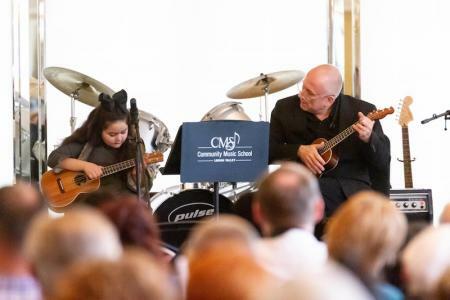 Community Music School (CMS) – Lehigh Valley & Berks is a non-profit charitable organization which provides the inspiration and opportunity for anyone in our diverse community to achieve excellence in music education and appreciate the transformative power of music. Studying music improves language development, increases spatial awareness, and enhances skills in reading, math, and other subjects. 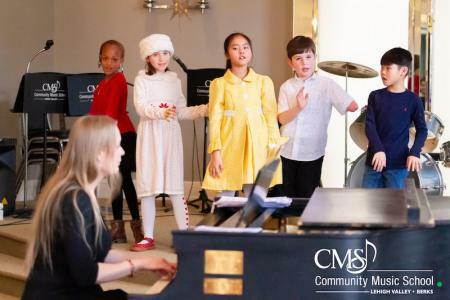 CMS’s professional faculty are performing musicians who provide high-quality private music lessons to students of all ages and in nearly every instrument and voice. CMS also provides several performing ensembles; as well as extensive, tuition-free outreach programs that bring music to students in under-served, high-poverty schools. Private lessons are available in Bass, Cello, Clarinet, Composition, Euphonium, Flute, French Horn, Guitar, Harmonica, Oboe, Percussion/Drums, Piano, Recorder, Saxophone, Trombone, Trumpet, Tuba, Ukulele, Viola, Violin, and Voice. Lessons are available in 30-minute, 45-minute, and 60-minute weekly sessions year-round. Piano, violin, and ukulele are well suited for very young students. Financial aid and merit-based scholarships are available. Summer Lessons - Registration for private lessons this summer begins May 1, and our flexible Summer Session runs from Monday, June 17, 2019 to Thursday, August 22, 2019. Not sure if your child is ready for a full semester? Try out a few lessons this summer! 30-minute lessons start at $33 per lesson + $45 registration. City Arts Camp - Is your child age 7-11 and interested in music, art, dance, and drama? Ask about our City Arts Camp during the week of June 24-28, 2019 in Downtown Allentown. To Enroll – Submit a New Student Inquiry or download the registration forms. If you have any questions, please call 610-435-7725 or email info@cmslv.org. Kindermusik - We are very excited to bring Kindermusik back to CMS! 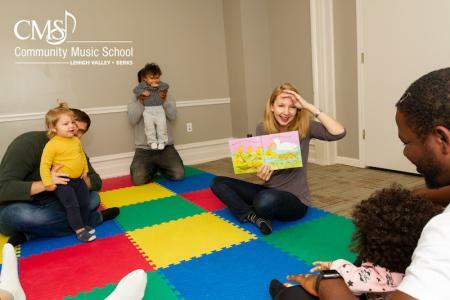 Kindermusik, a music and movement program designed for children ages 0-5, focuses on the development of the whole child and builds the skills children need to be successful in both school and life. Four-week sessions with Miss Lena, Sing n Move , on Wednesday mornings September 12, 2018 – May 15, 2019. $67 per 4-week session, includes take-home materials, caregiver participation. Financial aid available. Kids Choir - Does your child love to sing? Then the CMS Kids Choir can help get them started on their music journey! Under the director of Kate Uhler, children ages 6-11 will learn the basics of vocal performance including ear-training techniques, music theory, note reading, and harmonization using both traditional songs and current hits. No previous experience needed. Tuesdays 6:00 - 7:00 pm, $216 per semester. Financial aid available. Questions? Check out our Frequently Asked Questions here.